And then there were two....one of the girls in our trio had to go home for some medical problems. So now it´s just me and my trainer. It´s definitely more difficult with just two people, but I´ll just to get adjusted to it. We get along just fine, it´s just difficult sometimes because of the language barrier to say what we want to say. And it´s definitely hard to express myself. But I am teaching my companion some English phases! Like "I got your back" "food baby"...and also ¨"boy gots skills" jaja! It´s pretty funny, but we´re both learning from each other. Sometimes in English I can pull off funny....in Spanish I´m not funny...haha! But the people in the Ward I´m serving in love me for some reason! haha! The little kids think it´s way cool that I can raise my eyebrows pretty fast and the people love the curls! Oh! One lady in the ward gave me some practices to train my tongue apparently to get the correct accent...after my encounter last week ....She wrote some phrases on a peice of paper and I need to say them with a pencil in my mouth...how humbling...lol, but I´ll do anything to learn the accent. I´ve also been studying like crazy, I´m so inpatient with myself, I want to be able to speak now, but like everyone keeps telling me, with time it´ll come. I hope that´s the case! Yesterday I taught a lesson in the middle of a dirt road to two little boys. We sat on peices of cardboard and sang a hymn and had a lesson. What a humbling experience, really. I now better understand the American Dream. I´ve come to realize that I took a lot of things for granted in the States, I mean, who doesn´t like to have nice things? But now I better understand what I really need in my life. I also ate a cricket this week! It was sort of gross, but hey, it´s the mission! What are you gonna do? haha! Oh and we came across some Jehovah´s Witnesses in the street. They knew their Bible! The laundrymat man behind us was egging us on for a Bible Bash, which was pretty funny, but we just listened to what they had to say and we accepted their phamplet they gave us...but they wouldn´t accept our phamplet when we tried to share it! haha! ugh! Some people, lol. It was a pretty funny experience. Oh! So I don´t know if I already included this in a previous message, but my feet were killing me the other week....so my companions and I went to a shoe store on the side of the road asking around for Dr Scholl inserts or something, and that experience definitely makes the top ten of funny experiences in my life...I couldn´t get any of the people I talked to to understand what I was asking for! Oh the frustration...eventually it got decently bad so we had to get premission to go to Walmart which is about an hour away from us in a ´combi´ basically a mini van bus...to find some type of shoe insert...I don´t think Dr Scholl´s exist in Mexico. I hope everyone is enjoying Thanksgiving! The Christmas count down begins! This first week in mexico has definitely been something else. I´m in a trio with 2 other girls, neither of which speak English. Oh the frustration! My dictionary has become my new best friend! We all get along decently well except one doesn´t really like to share...haha! I´m all up for sharing groceries ect, but my one companion doesn´t like to do that, but then later asks to eat my food that I suggested we share in the first place..haha! Oh my companions...haha. I´m not going to lie, this is not easy. it´s frustrating not being able to express myself how I´d like. A lot of the words I did learn from my Peruvian family don´t work here in Mexico...it´s quite depressing actually. It´s also annoying not being able to say what I want to say during a lesson because I either don´t know the words or don´t know how to format it.Yesterday in a lesson a lady actually told me my pronunciation was super bad...I´m learning ok?! Ugh! I wanted to fight her, haha But I just kept my cool pretending it was alright. I understand my pronunciation could use some work, but to ask me to say certain words and then tell me how bad it sounds when I speak? Really? We´re going to visit her again this week , I´ll try to have kinder feelings towards her this time. haha. A lot of comforts of home are gone...I wash a lot of things by hand and the water works when it wants to...and the place we wash our clothes is the home to birds..Oh the adventure! It doesn´t bother me too much though, I think it bothers my companions more. One thing I can do is teach people English...I´ve helped some people learn a few things and I´m also trying to teach them some of the language. It´s really humbling because although my Spanish is horrible, I know I´ll eventually learn. I´m there only source to learn English. Yesterday we learned the alphabet and counting. We´re literally learning two languages together. It´s super important to be nice to your companions because you´re together all the time! If something is bothering them I have a technique...I offer to give them a massage and then when they´re relaxed they tell me what´s wrong and I can then figure out how to help them. I´m a Psych major...I know what to do! haha! 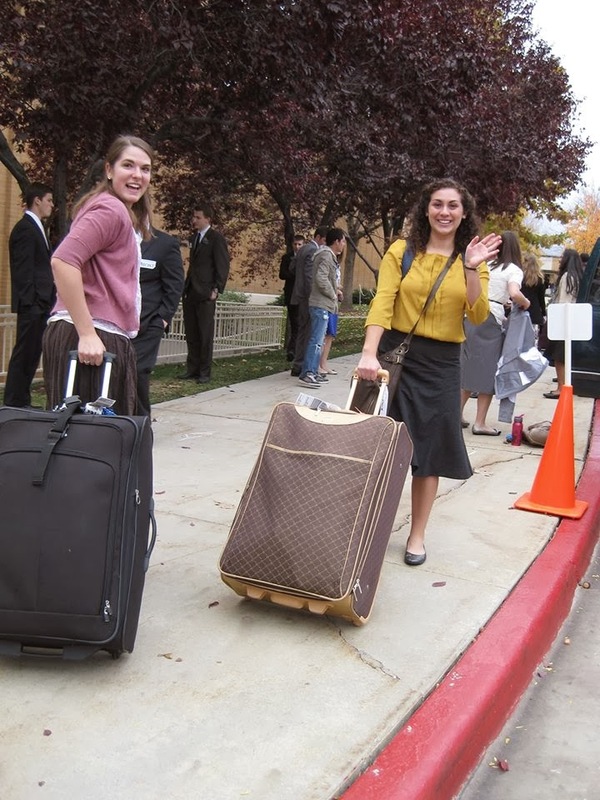 But seriously, my companion in the MTC was way nice to me, now it´s time to return the favor. One thing that´s hard is that there are a lot of distractions here! My main distraction is the music...how am I suppose to read the scriptures when there are cars driving by blasting Pitbull, Daddy Yankee, Prince Royce, Maroon 5 ect ? haha! I just want to dance! Sometimes in the street my companion and I dance a little, but only when our trainer isn´t watching...she´s sometimes a stickler. I´ve been learning so much and I´m glad for this opportunity I have to bring others closer to Christ. Hermana Garcia! My first companion! She was so much fun and we taught very well together. Oh! 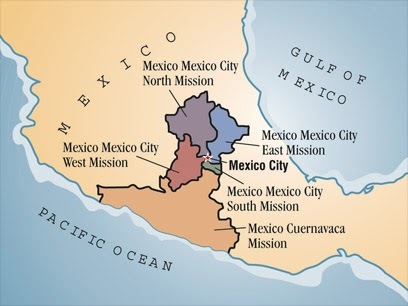 The place I´m at is called Zapata in the state of Morelos in a city called Cautlan...I think that´s how you spell it. I fell alseep on the bus over here and I woke up to my ears hurting like none other. I honestly have no idea where they dropped me off either. But I´m pretty happy, I live for adventure so bring it on. That picture of the 6 girls in red was for my birthday...I love that color so we all found something that matched that and wore it...my district also bought me cupcakes! they're amazing. This was our saying in our zone...it means,you know it! But you gotta say it with all the latina sass you can muster. Some of my best friends at the mtc. One elder is Peruvian and the other is straight from Puerto Rico! Elder Padilla and Elder Pagan. Hello everyone! I´m in Mexico! I left Provo yesterday at 2:30 in the morning and had a layover in Texas and now I´m here! It has been a little crazy...I´m in a companionship with two sisters, one from Guatemala and one from Mexico. They don´t speak English... It´s time to learn, and fast. I´ll be teaching them English a little bit every morning and they´ll help me with my Spanish, so it should be an adventure! Today my mission president and wife gave a little lesson on safety in Mexico regarding traffic and potential kidnapping....yeah..but I should be alright. So I´m in the state of Morelos, the apparently dangerous one that a lady at the airport told me to stay away from, lol. But I´m here! When I looked my mission up on google images it was very deceiving because I am not in Cuernavaca- the land of eternal spring...haha. I´ll be washing my clothes in a tub and there isn´t hot water! Time to rough it up! It doesn´t really bother me but one of the girls I¨m living with says she can´t shower without hot water so this should be interesting... both girls speak perfect spanish but they don´t understand english at all. Its been a little frustrating honestly. I can get a basic point across and for the most part understand what people are saying but It´s difficult to express exactly how I feel in the way I want to say it...so sometimes I sound like a little girl when I try to speak, but I´ll embrace it. lol. So the best way to say in contact with me is honestly through letters, but letters that are sent to the mission office address. I´ll get them once a month and then respond as soon as possible. If you guys decide to send letters or packages please put pictures of the Virgin Mary or Jesus on whatever your sending. If you don´t I probably won´t get it in all honestly. The Mexicans like to sift throught the mail but won´t if you put a religious picture on it ;D Gotta learn the tricks. I´m going to miss my zone at the MTC a lot. We all got super close in the 12 days we had together, and we all got along great for the most part. The majority where Latinos and we all knew how to have a great time. Everyone...I´m going to return fat. It´s inevitable. The food here is spectacular and people like to feed you. I need to watch out though because I didn´t drink the water here, but I brushed my teeth with it without thinking too much of it and I got sort of sick. So now I know. I love the people already, especially the kids, they´re amazing. The people are so kind, but they know I´m from the USA, it´s inevitable to avoid. Hopefully I´ll get an accent soon enough and be able to speak well enough to keep them guessing where I´m from. I can speak fine about my friends, music I like and my hobbies, but when I try talking about the church and the gospel it´s a little more difficult because I can´t express myself how I want to , and it´s super annoying. I will learn though. Poco a poco con tiempo. Oh I had a birthday! Heckka yes, 20 here I come. My district bought me cupcakes and we had a party in our apartment, it was great! I also received many letters from people in my zone, but most were in Spanish because they couldn´t speak English, haha. I understand writing way better in Spanish because I can actually think about what I´m saying. Ok so I finally have some time to write a letter! I only have 1 hour a week on the computer so letters are definitely the best way of communication. 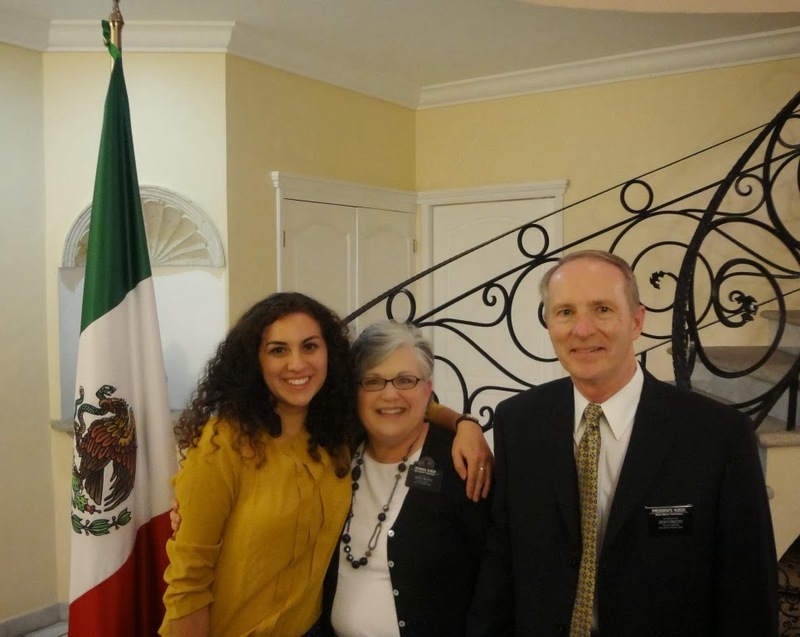 Right now my companion is Hermana Garcia and she is Mexican. We're going to get along great. During her introduction during zone conference each other (a zone is made up of a few districts-- there are 6 Hermanas in my district) she said she liked to "romper las reglas" (break the rules". But seriously, for the most part we're really good to each other.For example, sometimes she makes my bed unexpectedly! Or i'll plan out certain things she needs to do. It really isn't too bad. The only annoying part is sometimes all the girls in the district want to do everything together and I don't necessarily like waiting for every girl to primp herself, hey! I guess it's time for me to learn patience! The girls in my district are overall very nice. There's one blonde girl in the group, who was automatically nicknamed "Hermana Blancita" (who i'm legitimately worried about because she'll be right on the border and her Spanish is a little tough). The only nickname I've received as of yet is "Hermana Barrio" (which is just Ward in Spanish). My teacher really wants us to commit to learning the language since we are technically in advanced class. He expects 95%-100% Spanish communication in and out of class which is a nice goal... I actually gave it a shot; but caved at like 11 am. It's just frustrating to know what you want to say and almost how to say it, but you can't express your exact emotions. It definitely can get a little frustrating especially when people speak super fast. My favorite part of the day is the little bit we get 3 times a week for gym time, There aren't too many things the Elders and Sisters can do together , but volleyball is an option. The sisters are great, but a lot of them don't like to be outside, or do anything active). Apparently you're not supposed to dive in the sand or go down on your knees, but this one time I couldn't help it and I had an epic dive.It was a legitimate dive too. I actually blacked out for half a second, but it was so great. I thought it was pretty funny when another sister sort of reminded me I shouldn't be doing that-- come on Hermana, no need to be jealous! I didn't tell her that, but that's the conclusion of my companion and I later came up with. At first it was a little intimidating being with a bunch of fast speaking Mexicans and Latinos, but the first week has really been good for me. One of the girls in my district and I can pull off the 'sassy stereotypical' latinas pretty well. I'm currently on a flight out of Salt Lake City to Las Vegas to meet with a member of the Mexican Consulate to get my visa. Other people have tried getting visas before, but the Mexican government isn't cooperating very well. For example, I was informed I'd have to catch a bus at 4:30 AM this morning... I hope someone actually comes to meet me in Vegas for my Visa, The other missionaries and I are going like to joke about just hitting the strip and discontinuing our missions. The other missionaries are super fun and we have a good time. If everything goes as planned, I should be in Mexico by the time my sister has a chance to upload this message to my blog! The specific area I'm going to has 3 Mexican states in it, one of which is Morelos, which apparently isn't doing too hot right now. A concerned Mexican lady at the airport today told me she was from Morelos and that I definitely needed to watch out. I can't wait. As long as you don't do anything dumb there shouldn't be any need to worry. Week 1~ "ya tu sabe mami, ya tu sabe!"